How to Zoom in on a Video? Being able to zoom in on a part of a movie or video is a vital technique to be able to use when editing. Being able to zoom in can help with narrating a video as it allows the people watching to view things in more detail and it can also build suspense. If you want to make your video stand out then using zooming effect is a good option. Here we will give you step-by-step instructions to help you zoom in video. How to Zoom in Video? In order to make zooming effect, some movie makers may use zoom lens. With this you can use a single-lens reflex camera and other professional facilities to shoot videos. However, buying those tools can be very expensive and it’s not practical if you’re not going to be using them a lot. If you don’t want to spend a lot of money on equipment, here are some editing programs that can do the job you need without the huge expense. 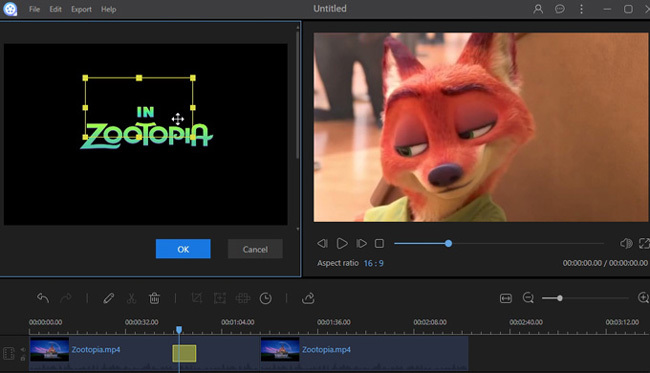 ApowerEdit is a great video editor which also comes with a zoom function. It is suitable for not only seasoned users but also beginners as the interface is easy to use. What’s more, ApowerEdit offers users multiple editing options to create a satisfactory result. For example, you can touch up a video by using emojis, filters, and overlays. With the help of this tool, users can zoom in on video. Here are some instructions you can follow in order to use this function properly. 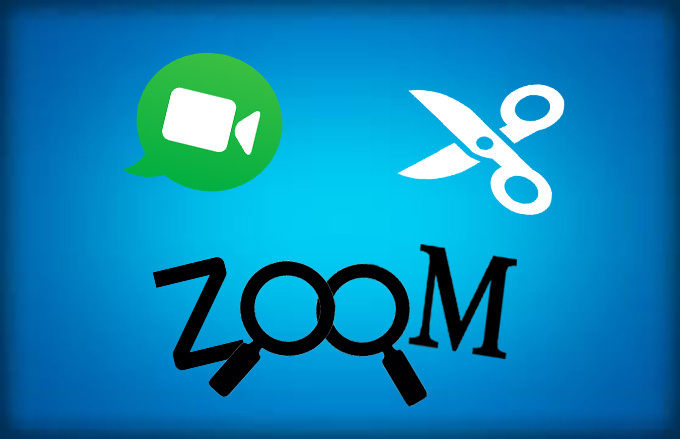 Click the zoom icon in the toolbar or right click the video in track then choose “Zoom”. Click “Export” > “Export to video” to generate the video. 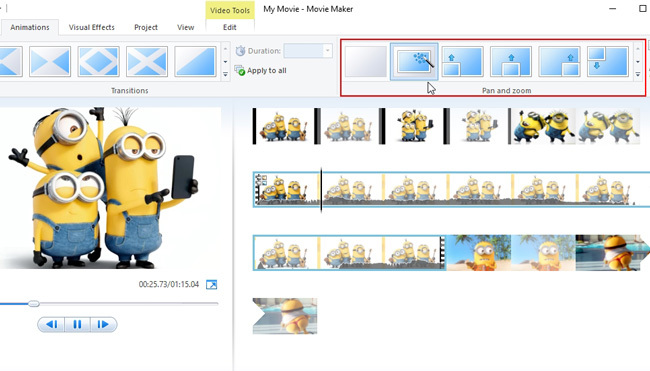 Download and install Windows Movie Maker from the official Microsoft site. Open the application and add video files or photo files to the track. Click the “Animation” button in the menu. Choose a zooming effect in the pan and zoom area. Click “File” > “Save movie” > “Recommended for this project” to generate the video. VSDC Free Video Editor is also a good video editing tool which enables users to do basic video editing, including zooming in a video. 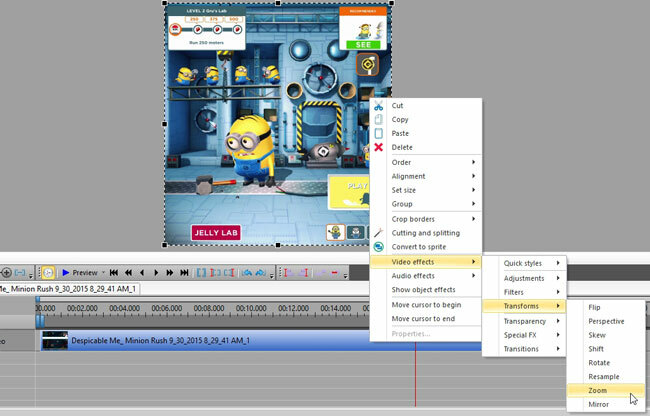 However, VSDC is a professional video editor which provides lots of editing options for users. Therefore, if you are looking for powerful video editing software to zoom in on video, you can try VSDC. Download and install VSDC Free Video Editor. Right click the video in the track then choose “Video effects”. Click “Export this project” > “Export files” to generate the video. 1. Choose an appropriate aspect ratio. The black borders may appear if the aspect ratio of a zoom-in video clip doesn’t fit the aspect ratio of the whole video. So in order to have a better viewing experience, it’s recommended to keep the aspect ratio the same during the editing. 2. Choose an appropriate dimension. Though the quality of a zoom-in video clip depends much on the whole video format, setting an appropriate dimension can help it keep in a high quality. Making zooming effect is not a difficult task, and all the programs mentioned above are good to use. So we hope you can get an idea of how to zoom in on a video after reading this post. It’s definitely worth a try if you want to add that little bit extra to any of your videos.